CAD / CAM (Computer-Aided Design and Computer-Aided Manufacturing in Dentistry) ie. computer-driven design and design. It implies a specific and sophisticated way of making dental compensations. 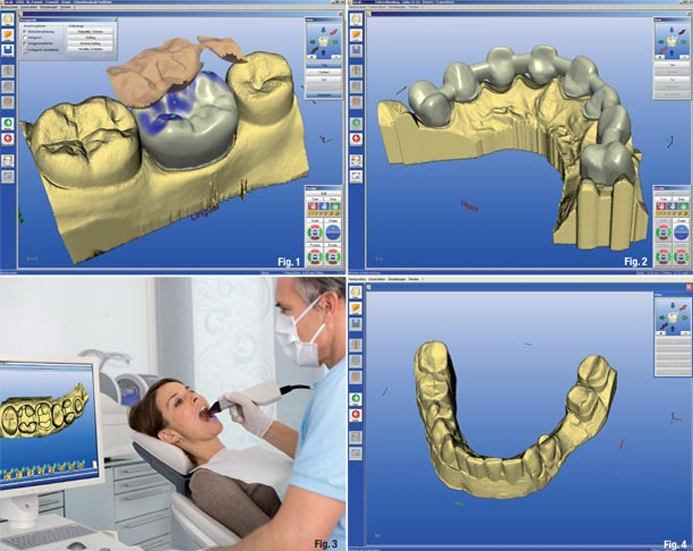 Using modern computer technology, scanning a patient’s model or pallet in a digital form provides a 3D model where virtual dental models are modeled using modeling and tooth design software and are then made using computer milling machines for ceramic blocks. 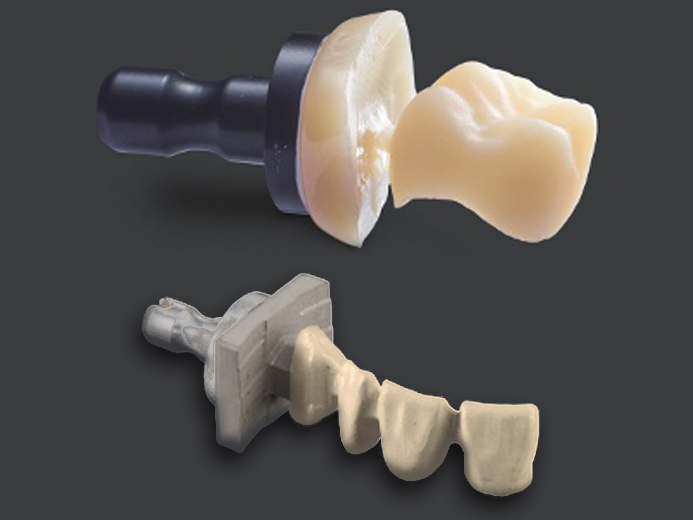 This new CAD / CAM technology has brought new standards in dental compilation, and new ceramic materials have been significantly improved and better than previous materials used in classical manual dental compilation. By using this technology we have the ability to make teeth from complete ceramics or ceramics with a reinforced zircon oxide base, which means we can work on bridges with large ranges. What matters to the patient is the procedure for the production of non-metallic crowns and the bridges are standard after the grinding of the teeth. Then the print is sent to the laboratory where precise scanning of the fork models is performed and later on making of non-metallic constructs on which a layer of top-class aesthetic ceramics is applied in the desired color. With this method, we can make crowns, bridges of inlaid, of different shades of standard to teeth of a very white shade of natural warmth and transparency. It is also possible to make crowns and bridges on embedded implants, which is the highest level of quality in today’s dental rehabilitation. The materials we use for production are bioinafected and clinically tested with the top quality of well-known manufacturers Vita-Zahanfabrik, Ivoclar-Vivadent. The time needed to create these reimbursements is from 2 to 5 days depending on the size of the restoration. All fees are made under laboratory conditions, which significantly affect the aesthetics and the accuracy of the compensation itself. It is known that today more and more people are suffering from various types of allergies. It is important to know that today’s modern dentistry offers a solution on non-metallic basis using new materials in making non-metallic ceramic solutions that are significantly better than conventional with metal bases. In addition to superior aesthetics, the most important thing to mention is the health aspect because no metal is added to the body that can negatively affect the body by releasing negative ions that break down the gingiva of the teeth.